Stocks are slumping for a second straight day as the market endures its most volatile stretch since February. The Dow Jones industrials fell 545 points, or 2.1 percent, to 25,052.83 and the benchmark S&P 500 dropped 57 points, or 2.1 percent, to 2,728.37. Both indexes have fallen more than 5 percent the past two days. 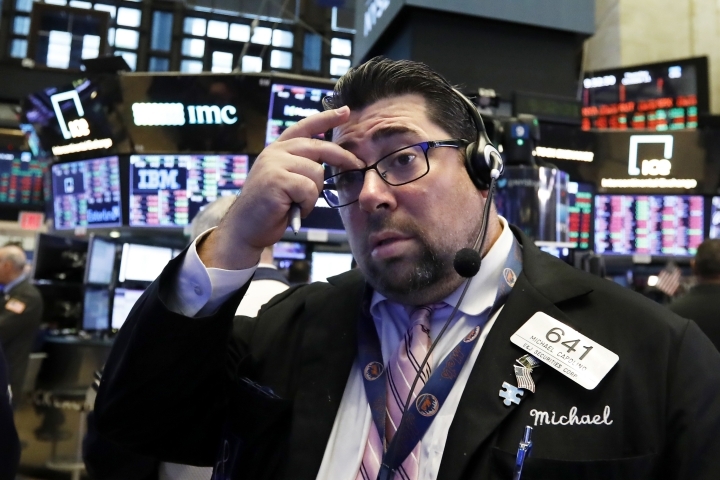 This marks the sixth straight day of losses for the market, which has been rattled by rising interest rates, signs of a slowdown in the global economy and the U.S.-China trade dispute. The Nasdaq fell 92 points, or 1.3 percent, to 7,329.06. The Russell 2000 dropped 25 points, or 1.6 percent, to 1,550.25. U.S. stocks are falling again a day after their biggest drop since February. Some early relief over a tame report on inflation gave way to renewed selling. Banks are taking some of the biggest losses. JPMorgan and Bank of America are each down close to 1.5 percent. Bond yields, which have spiked over the last week, slid after the Labor Department said consumer prices rose less than economists expected in September. The yield on the 10-year Treasury fell to 3.16 percent. Tech stocks, hit hard Wednesday, crept back into positive territory Thursday morning. Earnings season is underway. Delta Air Lines shares rose 3.8 percent after the airline beat profit expectations. The S&P 500 index fell 12 points, or 0.4 percent, to 2,772. The Dow Jones Industrial Average lost 91 points, or 0.4 percent, to 25,506. The Nasdaq composite rose 15 points, or 0.2 percent, to 7,436. Stocks are opening modestly lower on Wall Street following volatile trading in Asia and Europe. U.S. markets are coming off their steepest losses in eight months. A report showing only a modest pickup in consumer prices seemed to calm investors just before the open. 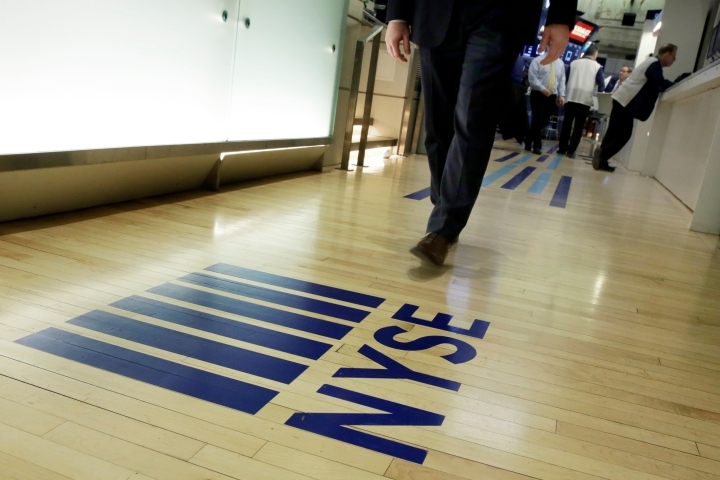 Tech stocks, hit hard Wednesday, fell slightly in early trading. Apple shares fell 1.2 percent. Earnings season is getting underway. Delta Air Lines shares rose 3.8 percent after the airline beat profit expectations. The S&P 500 index fell 4 points, or 0.1 percent, to 2,781. The Dow Jones Industrial Average lost 101 points, or 0.4 percent, to 25,497. The Nasdaq composite rose less than a point to 7,422. Bond prices rose. The yield on the 10-year Treasury fell to 3.17 percent.